Hockey Season Is on the Horizon | BANG. Last year, the men’s hockey team had to cope with the departure of Hobey Baker winner Johnny Gaudreau. Needless to say, his absence was clearly noticed. 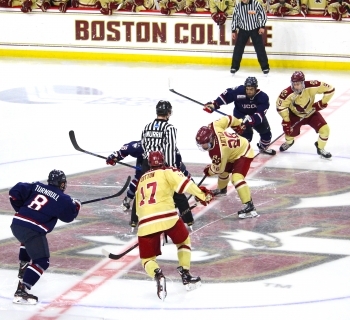 The Eagles went an overall 21-14-3 and lost crucial games during tournament season, most notably to crosstown rival Northeastern in the first round of the Beanpot and to Denver in the first round of the NCAA Tournament. It wasn’t an abysmal season by any means, but it most certainly wasn’t a season to post in the record books. Meanwhile, the women's program had a much different experience on the ice, defeating every opponent they confronted during the regular season. The idea of a perfect season hung over the Lady Eagles' heads for much of the year. That said, the team exerted its dominance throughout the regular season, but when everything was on the line, the ladies couldn’t finish. They lost the Hockey East Tournament to BU following a defeat in the Beanpot to Harvard, who would ultimately end the Eagles season in the NCAA Tournament. Despite their untimely collapse, the team's hard work was rightfully acknowledged, as Alex Carpenter was awarded the Patty Kazmaier award. 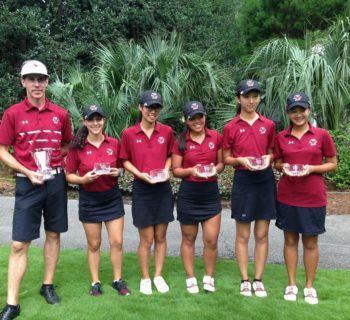 Additionally, multiple Lady Eagles were elected to play for the US National Team. Overall, even though a trophy wasn’t added to the collection in Conte Forum, both programs left many optimistic for this upcoming season—including officials at the United States College Hockey Organization. 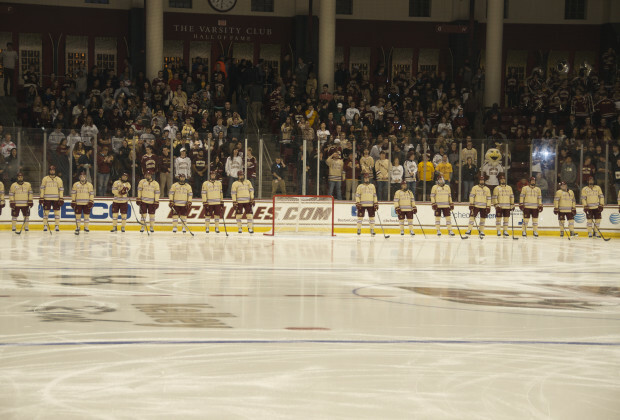 The USCHO recently came out with its preseason rankings for the upcoming hockey season and had some pretty great news for SuperFans. The poll placed the men’s team at No.1 in the country, and the women’s team at No.2, behind Minnesota. For one school to have both teams so highly ranked is practically unprecedented. There are several factors which back these preliminary rankings. For the men’s team, the return of dominant players like future Boston Bruin Ryan Fitzgerald, who has netted 30 goals in his two seasons at Boston College, as well as future Vancouver Canucks goalie Thatcher Demko, who many regard as the best goalie in collegiate hockey, has helped solidify the potential power of this year's squad. Also, the arrival of freshman and top rookie prospect Jeremy Bracco, who, too, has already been drafted into the NHL, is an excellent addition to an already stacked roster. On the women’s side, the most obvious reason for the team’s high ranking is the return of superstar Alex Carpenter. It is the forward's last season at Boston College, and like most senior athletes, she is going to want to go out with a bang. Considering that she has already won the highest possible honor for a female hockey athlete, she only seems to be lacking a championship. While the components behind the rankings seem rather evident, it is still important to take the predictions with a grain of salt. Anything can happen in the game of hockey, and like all sports, injuries, lack of chemistry, or simply bad luck could plague either team. Yet, both programs occupy top spots on the rankings for one reason: people believe Boston College men's and women's hockey will be dominant this year. Only time will tell whether or not either team is championship worthy. Luckily for SuperFans, the wait won't be long, as both seasons kick off in the near future. The women’s hockey team will get its first taste of action this Sunday at 1 P.M. against St. Lawrence in Conte Forum. The men’s team starts the season on the road against Army on October 9th at 7 P.M.